What's the difference between the various razor strops? 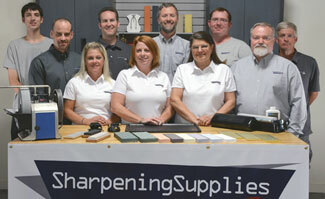 We offer several different razor strops to choose from. Different sizes are available as well as different leathers. Some have linen belts and some do not. This article is intended to give an overview of all the options to allow for easier comparison. Herold - Solingen 56RI Adjustable - a smaller strop with two leather sides, each 7-1/4" long by 1-1/2" wide. One side is plain leather, the other is loaded with the HS602 Red Stropping Paste. The leather is the "rindleder" cowhide which is supple and has a velvety finish. The tension is adjustable by twisting the handle and this strop does not need to be mounted. Overall length 13-1/4". Herold - Solingen 152RI - a smaller hanging strop. It is a leather only strop made from the supple and velvety "rindleder" cowhide and has no linen belt. The stropping surface is 13" long by 1-3/4" wide. The overall length is 19-3/8". Herold - Solingen 180J - at 3-1/8" wide, the widest strop we offer. It will handle any razor without difficulty. 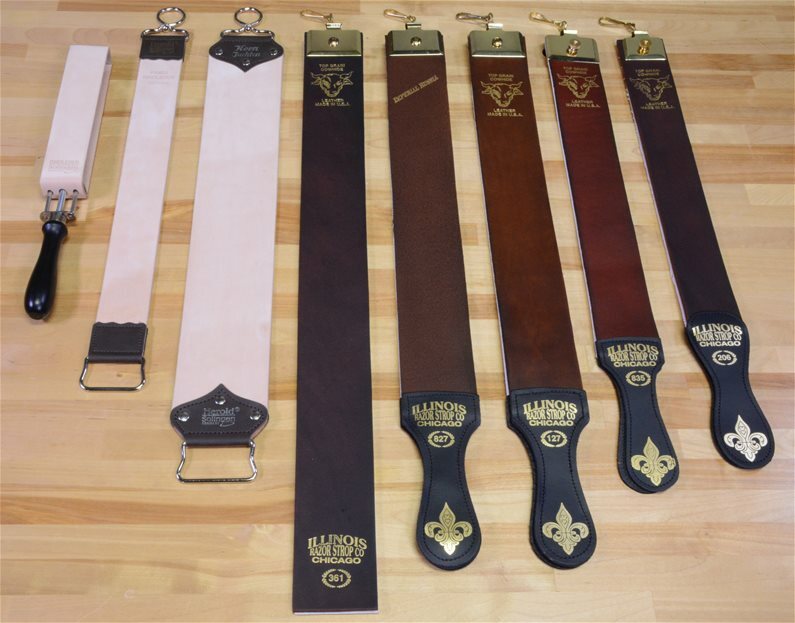 The "juchtenleder" or Russian leather is a bit tougher than the "rindleder" of the other Herold - Solingen strops, but has the same velvety surface. A leather only strop with no linen belt, the usable surface is 14-1/2" and the overall length is 22-1/2".